I really want to print this out Ray but have never printed in booklet mode before, is it easy to do? Is there any specifics I put the paper into the printer? If you have a duplex printer you don't need to do anything special. Give it a go. If it doesn't work out for you I'll make and send you one. When do you think the complete and "Only 2013" version will be available? THANKS! This is great! (again, for some more inspiration, here are my home made ones: http://juanestey.wordpress.com). 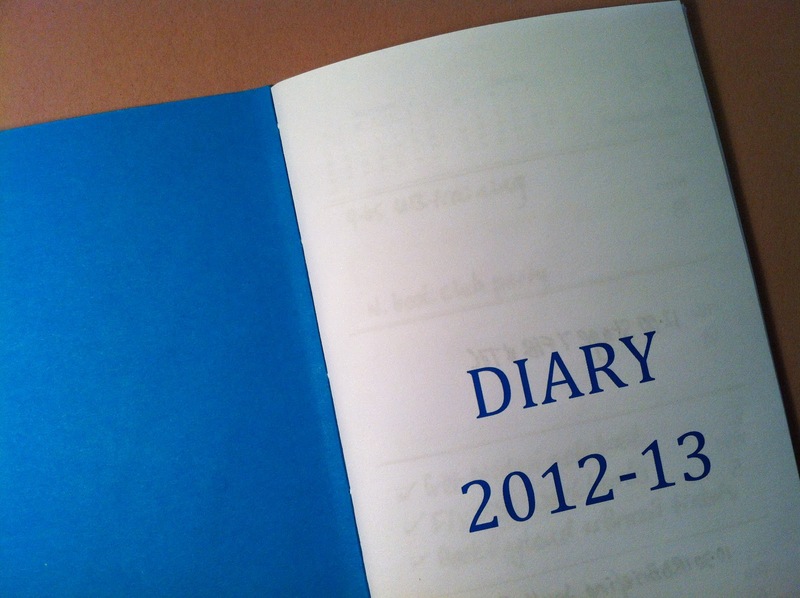 Juan, I'll be building the diary for the rest of 2013 early in the new year with the same colour choices. I like your DIY covers. Great! I am looking forward to using them! 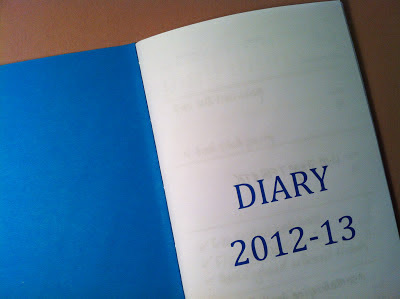 I don't need one for 2013 as I got myself a pocket size moleskine for the diary, but I use a Mindori for other notes/lists. I'll bear that in mind for next time. 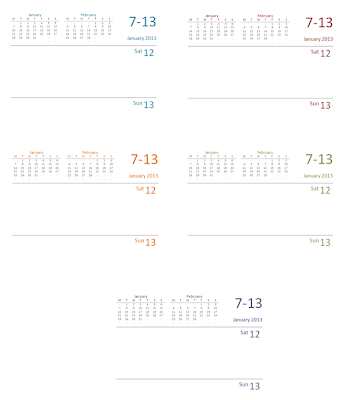 It's easy to produce these in any colour you want using 'find and replace' in Word. It takes seconds and this link will show you how. I love the video, Juan. I am French, and there are things I don't understand. 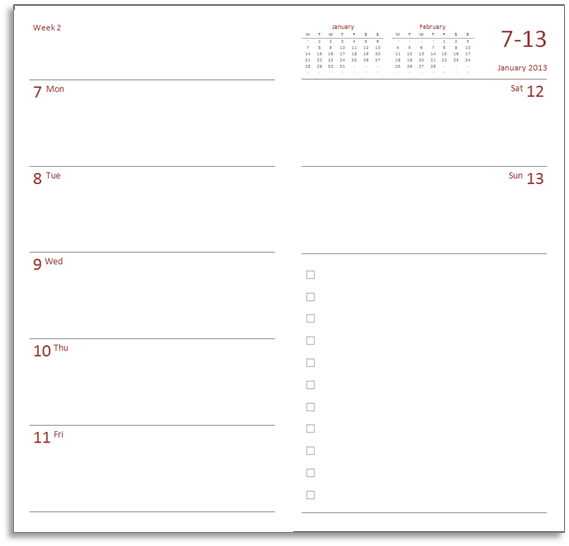 When I download the document, I have beautiful A4 diary pages. So too big for my Midori notebook. What does duplex mean ? I can print on the two sides, but then I have to lift the pages upwards to get to the next date and not sideways. Sorry, I am not very clever with these things. How to I make the pages smaller ? 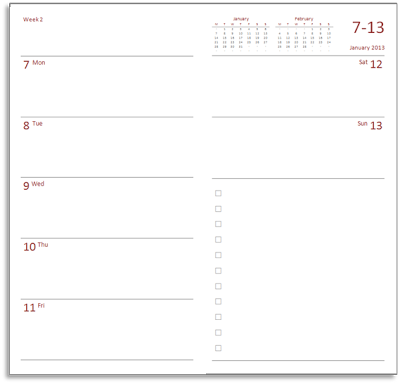 I I say print two pages on one, the days are two big and do not fit. Can you explain in simple words ? Hi. You have to print in 'booklet mode'. This will print 4 pages on each sheet of paper. Not all printers allow you to use this facility. If your printer does not offer booklet mode, you can download a piece of software called 'FinePrint' which will do the job for you. I never managed to print out, for some reasons mu stupid French printers don't work either at home or from the office, nevertheless you have done an amazing job !